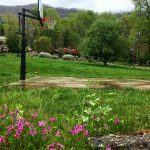 Mountain Joy Cottages are centrally located in the heart of Maggie Valley just one block up Setzer Cove Road. 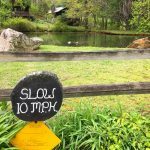 We are just minutes off of the Scenic Blue Ridge Parkway and the Great Smoky Mountains National Park. Easy access is available to all of the area attractions. The area is loaded with craft, antique and gift shops. There are a variety of outdoor activities such as horseback riding, golf, fishing, skiing, white water rafting, scenic drives and more. Nightlife includes everything from Jazz to Bluegrass, clogging or dinner.Our cottages are just a short drive to the Great Smoky Mountain Railway, The Biltmore Estate in Asheville, Cherokee Indian Reservation and Harrah’s Casino and historic downtown Waynesville. Originally the homestead of Maggie Setzer, for whom Maggie Valley was named, the land that Mountain Joy sits is a special place. You will become enchanted with it’s mountain charm, family atmosphere and character. We offer all the modern conveniences you would expect with the year-round access and seclusion that very few can offer. 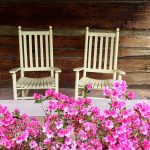 Whatever the season, Mountain Joy Cottages and the Great Smokies have something very special to offer. From the wildflowers of spring, to the blaze of colors in the fall or the serenity of winter. Come visit and make lasting memories at Mountain Joy Cottages. Enjoy the peaceful country setting of our cottages. We have one bedroom, two bedroom, three, four and 5 bedroom cottages. Each cabin is equipped with wood burning fireplace, Wi-Fi, cable TV with HBO, BBQ grill, picnic table, porch swings and rocking chairs, central heat and air conditioning. Our fully equipped kitchens come with everything you need to cook a homemade meal. Fire up the BBQ Grill included with your cabin rental and cook out! 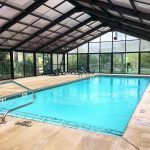 Our glass enclosed pool (seasonal) and hot tub offers a delightful place to relax and unwind. We also offer fishing for fun or for dinner in our stocked pond. 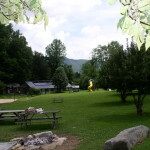 Horseshoes, basketball and other games are available in the meadow. Relax and enjoy the park like setting of our private cabins at whatever pace you choose. Located just minutes from many major attractions and entertainment, make Mountain Joy Cottages your next getaway.